The tallest tree in the world is called Hyperion . It is a Sequoia sempervirens and is 115.55 metres tall, located in the Redwood National Park in Northern California. Even though it is remarkably tall, it is not the biggest tree in terms of volume. In fact the biggest tree is General Sherman, a giant redwood tree (Sequoiadendron giganteum) located in the Sequoia National Park in California. 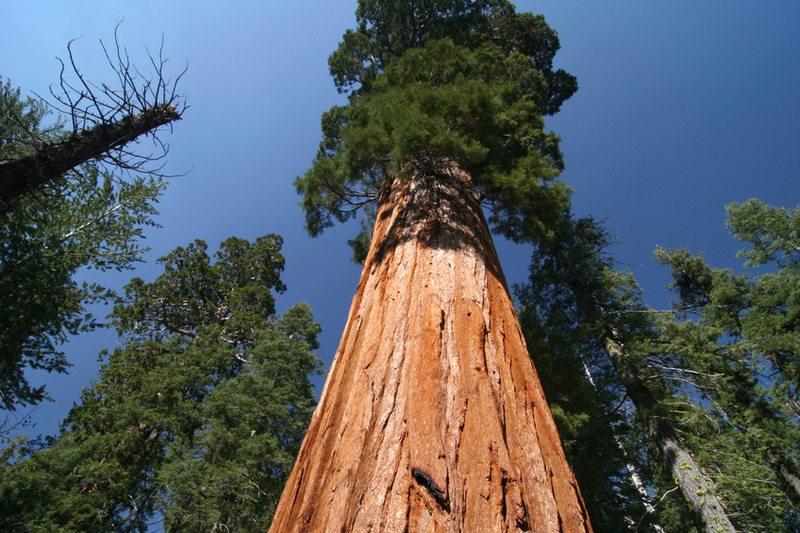 This sequoia has truly record numbers: in fact it is 83.8 metres tall with an 11 metre diameter at the base, and a volume of 1487 cubic metres, almost 3 times the volume of Hyperion, which is estimated to be 502 cubic metres.